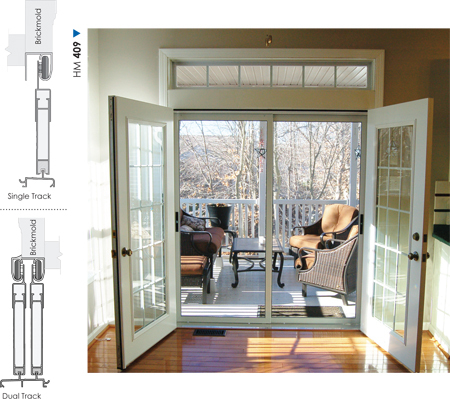 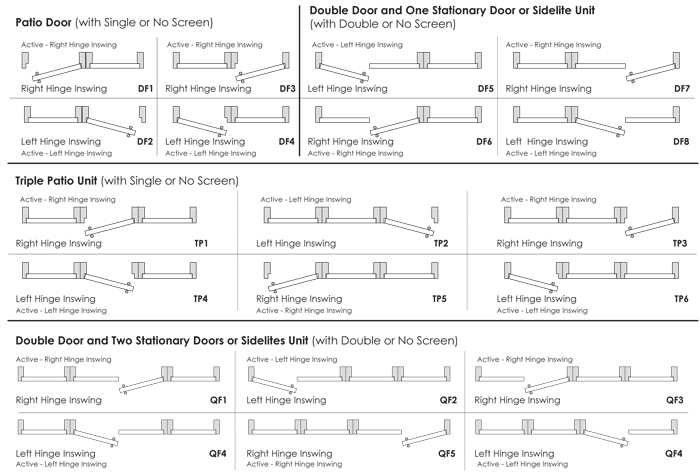 Single Sliding Screen configuration used for patio doors and Dual Sliding Screen configuration used for double doors. 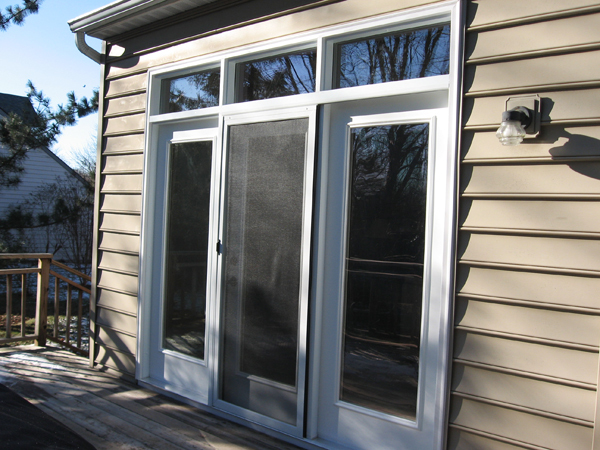 Inswing Patio and Double Door, screens are on the outside of the house. 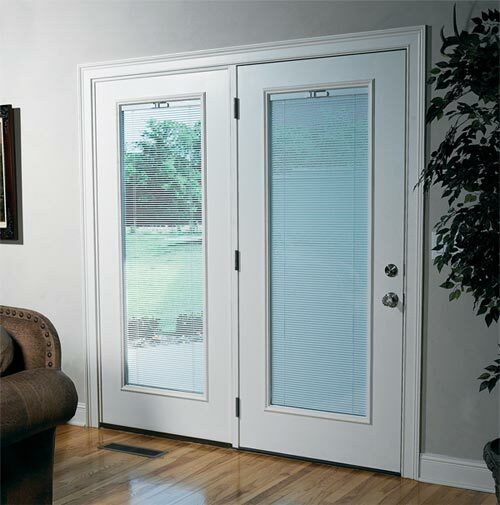 Outswing Patio and Double Doors, screens are on the inside of the house.